You need to mount that bipod, light or laser and have no way to do it. 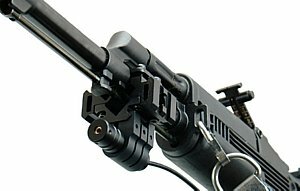 This unique barrel clamp 2 slot rail system securely mounts to your barrel and gives you three rails to mount your accessories. Another David's Collectibles problem solver. 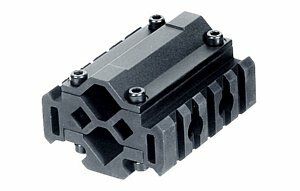 Compatible Firearm Barrel Range: Diameter.51"-.78"
Barrel mount tri-rail allows the mounting of all your accessories in one area. 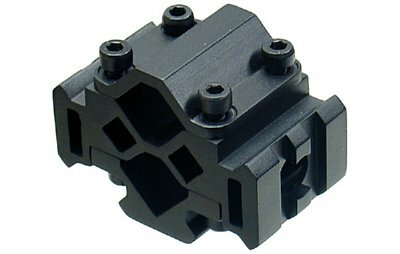 Easy installation and all metal construction make this item from tickbitesupply.com a must have. Copyright © 1999-2019 David's Collectibles. The names Tickbite Supply Company, Tickbite Tactical, Tickbite Optics as well as all material on this site is the exclusive property of David's Collectibles and cannot be used in any form. E-mail davistarr@aol.com for permission to use the material in any form.